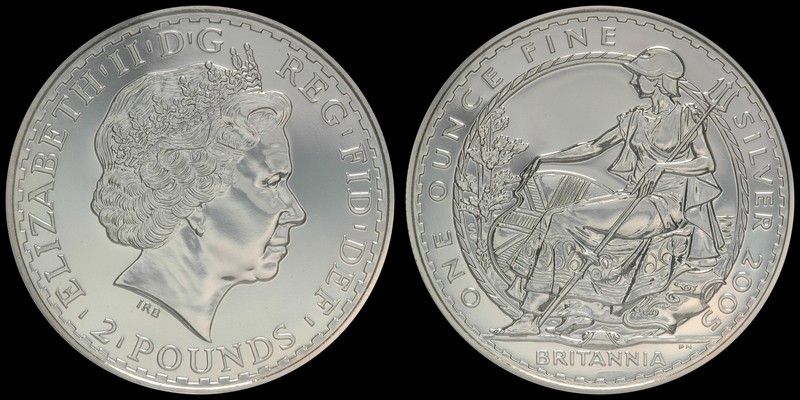 Although I have stepped back from the hobby for a few years now, I used to be quite into coin collecting (numismatics). 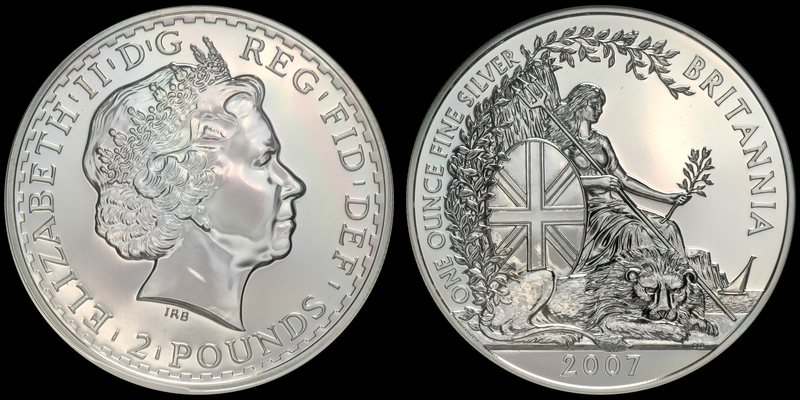 I have never been able to compete with the big players – it’s called the hobby of kings for a reason – but I did do pretty well for myself in putting together a set of very high grade £2 Silver Britannias. I worked on this set from 2006 to 2010, and later backed off of it in 2011 as other life priorities took over my ‘fun’ spending. 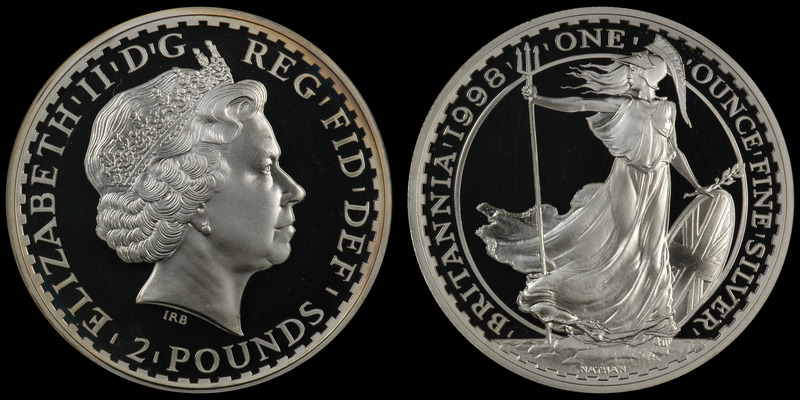 These 1 oz silver coins were quite hard to find in MS69 condition (coins are graded from 1 ‘poor’ up to 70, which is theoretically perfect). MS69 is pretty darn close to perfect. 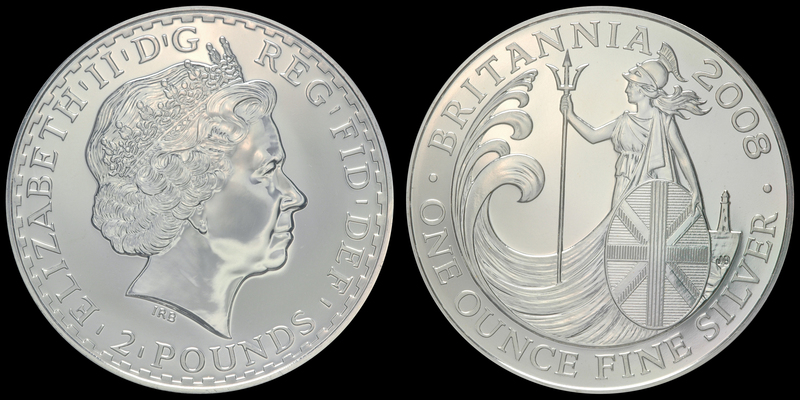 I lucked into my first four Britannias from somebody who had a group he was trying to move. 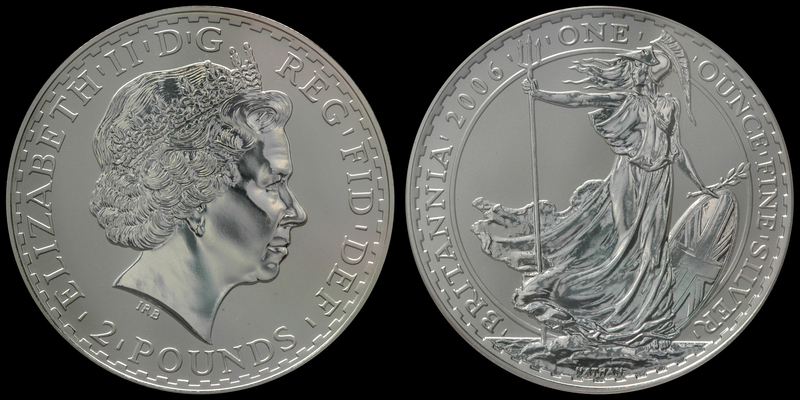 I became enamored of their design and beauty, and ended up completing the set in MS69, consisting of 13 coins dated 1998 to 2010. 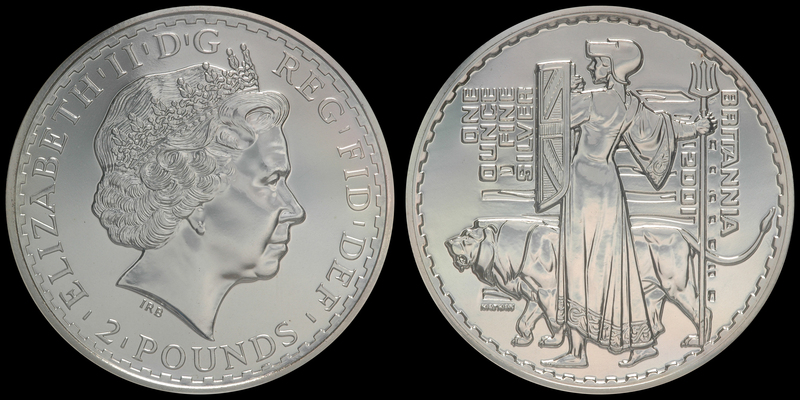 The ‘key’ to the set was the 2007, which is very, very difficult to obtain in MS69. 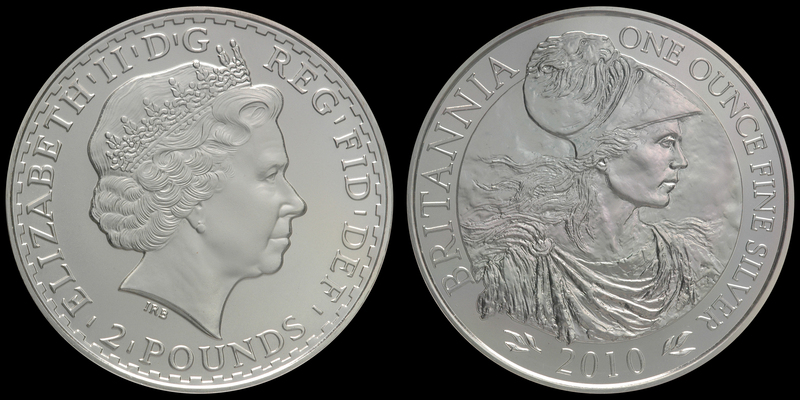 The 2007 uncirculated coins were issued in a brilliant finish, and they had a lot of problems with getting banged up, especially on the higher parts of the queen’s face. I think when I bought my MS69 example, there were only 3 or 4 known. 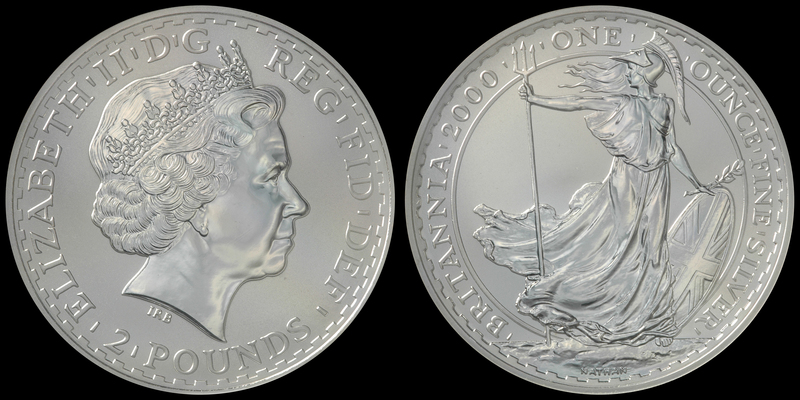 The 2010 example is MS70, the only one in that grade that I own. I couldn’t pass it up. I also included a few proof examples I once owned, just for comparison. 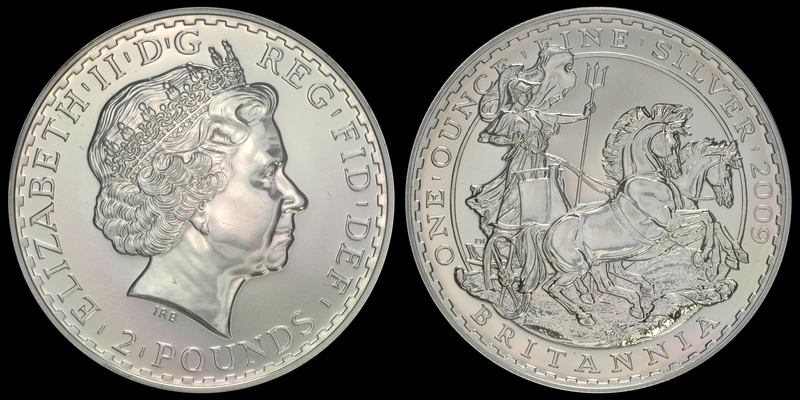 Those were struck to a high quality, and often inverted the frosted and brilliant finishes, to ‘fancy up’ the coins. 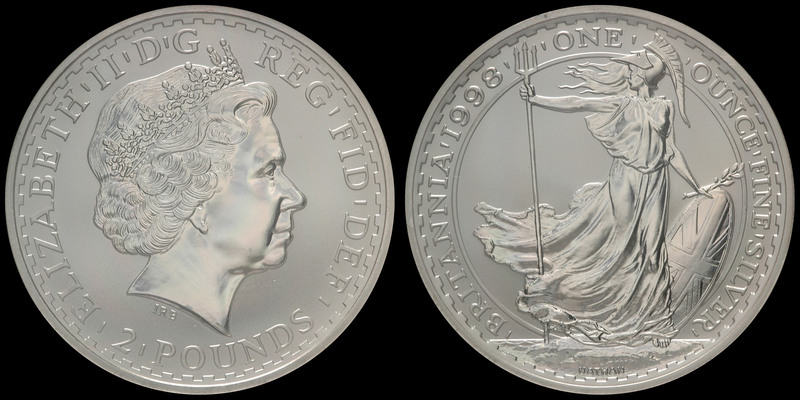 They sold for much more than the uncirculated examples, and had lower mintages (more like 10k vs. 100k). As I said, I backed off collecting in 2011, so I have not kept the set updated with new issues, but when I was putting it together, it was one of the nicer sets out there. 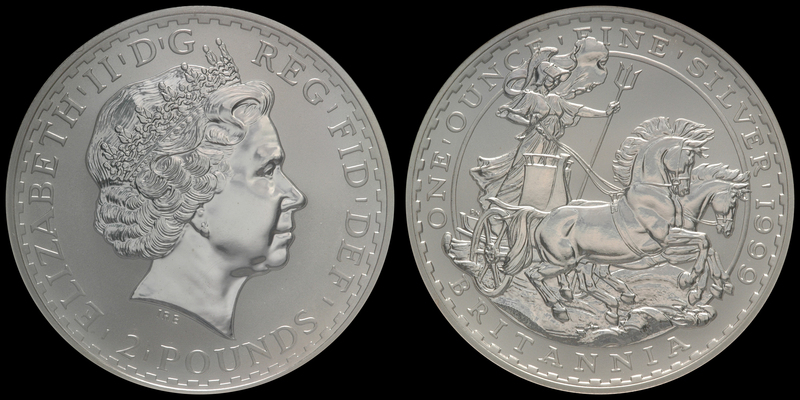 The more modern issues are easier to find in MS69, due to better practices in the Royal Mint and probably increasing interest in the series by collectors. The earlier years, shown below, are harder to located in higher grade. 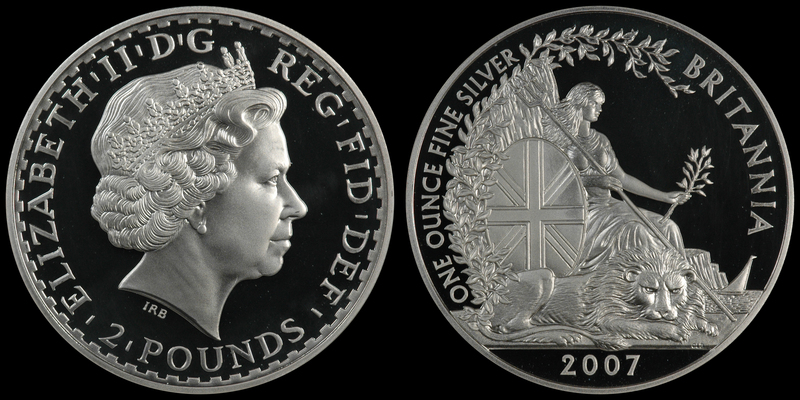 There are a few modern issues that are more rare, such as the matte finish 2011, which was apparently a mint error or variant that has a lower extant population. Darn…I’m starting to want to catch up on this set! I hope you enjoy the photos of my set below. I included the proof example above to illustrate the difference with the MS example further up. 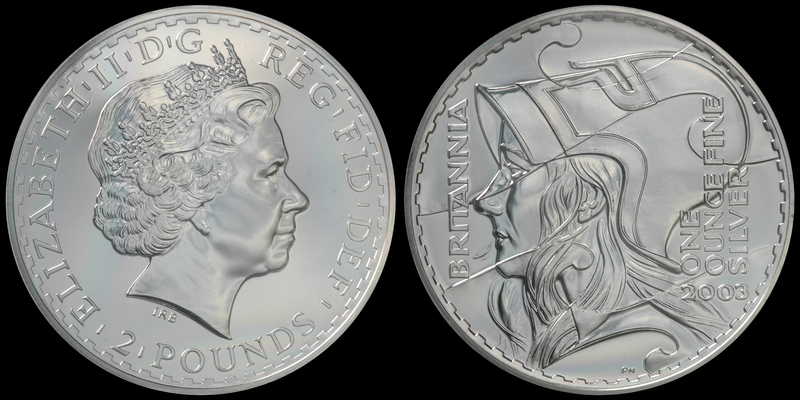 The frosted and brilliant (mirror-like) surfaces are inverted, relative to an uncirculated coin. 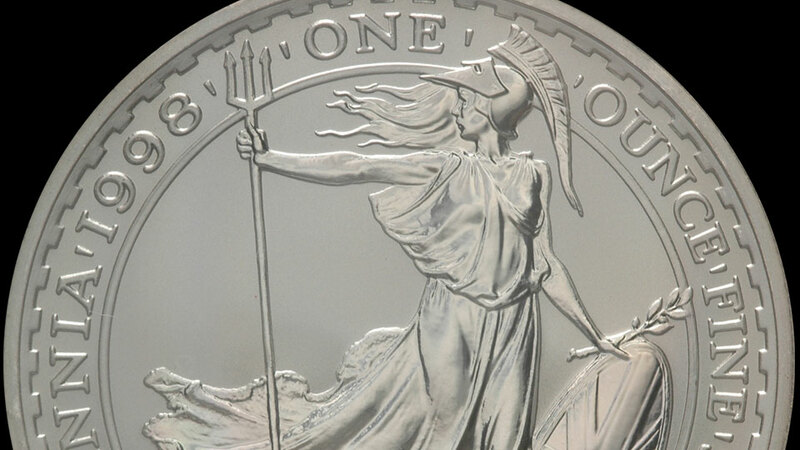 I really dug the toning on this coin, but I eventually sold it. 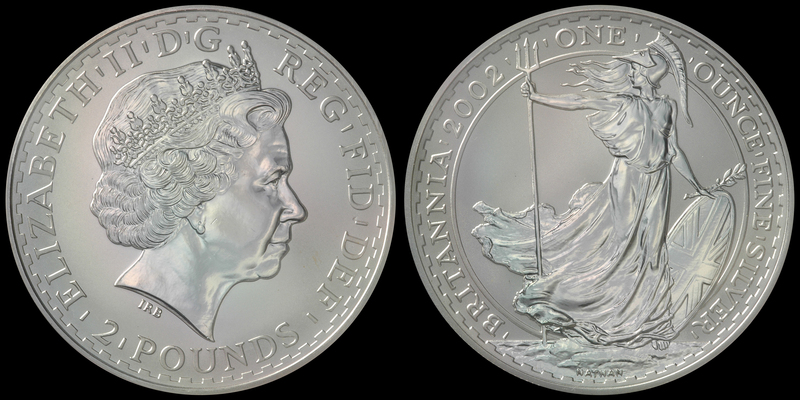 The coin above is the jewel of the set, probably one of the most rare Britannias out there. I picked up the above proof for fun and later sold it.